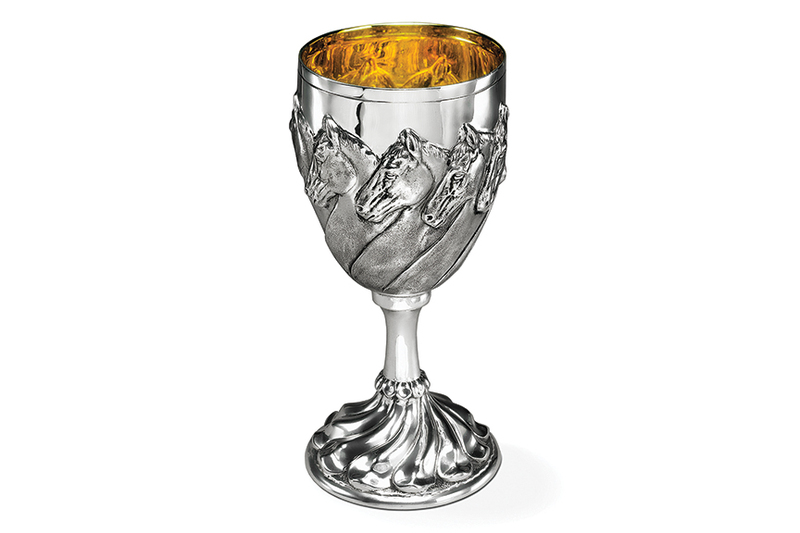 A handsome row of horses on the cup and the swirls of sterling at the base make the Horse Goblet a masterful addition to your dining table. The sculptural quality of the rare repoussé technique is wonderful to the eye and to the touch. Height: 6 3/8". Capacity: 10 fl oz.